Reindeer Ride Express: Everything you need to know before climbing aboard! Thanksgiving weekend was the start of a brand new holiday tradition in central Indiana. Over 1,000 families journeyed to the sleepy town of Atlanta, Ind. to climb aboard the Reindeer Ride Express. Attending a new event in a new town can be confusing. Find out everything you need to know here! The Reindeer Ride Express will board in Atlanta, Ind. near 105 E Main Street. Passengers will board 15 minutes prior to scheduled departure time. 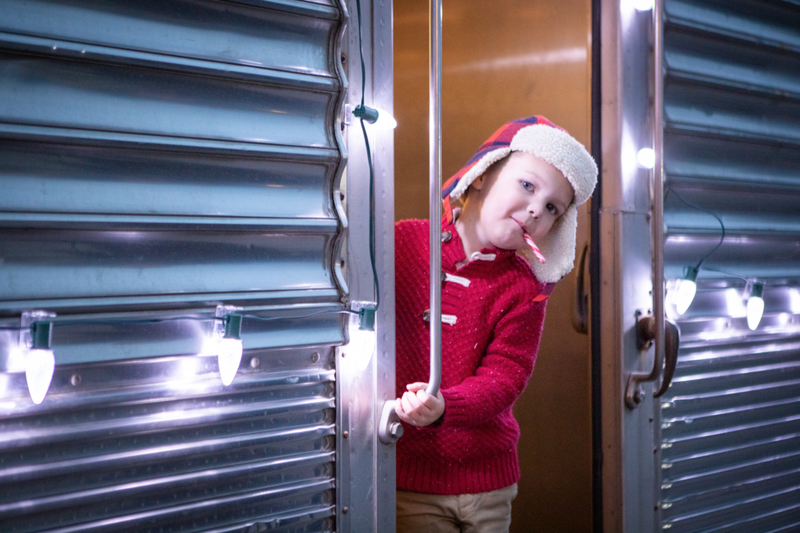 Visit with Santa in the little red caboose! Street parking is available on Main Street, Walnut Street and Railroad Street and near the Atlanta Community Center. What is there to do when I arrive? If you arrive early, go visit Santa in the little red caboose! 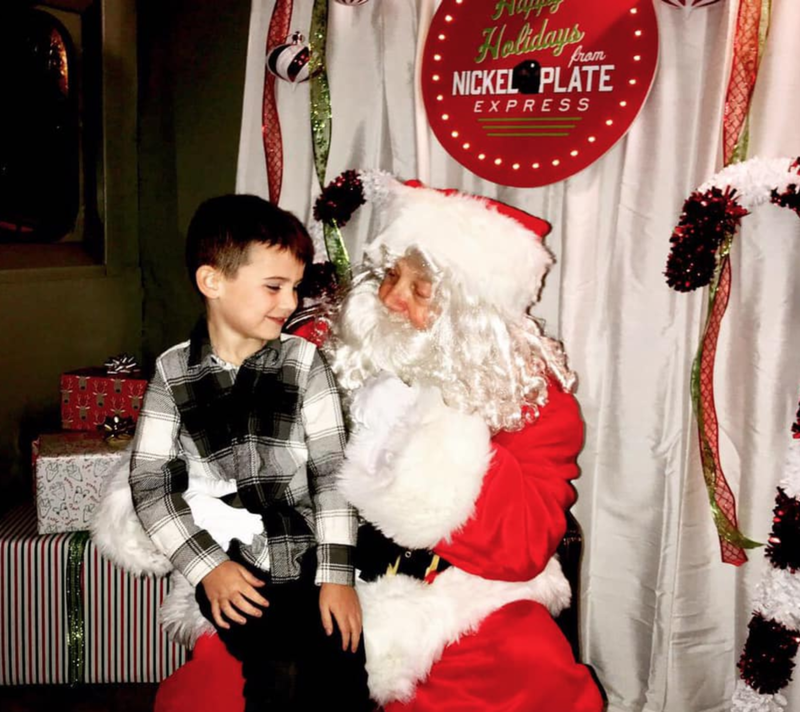 A visit with Santa is included in your ticket and he will be available to visit with passengers before and after the ride. Visit the near-by town of Cicero for a great bite to eat. Check out local restaurants here. The ride is an hour long and travels through Atlanta, Arcadia and Cicero before returning passengers back to Atlanta. Hot chocolate, water and soda are available on board for the kiddos, while adults can choose from a bevy of beer and wine. Gourmet popcorn from beloved Indiana brand Just Pop In! is available on board for when hunger strikes. Cash and credit cards are accepted. Have more questions? Message us on Facebook at Nickel Plate Express for a prompt response.